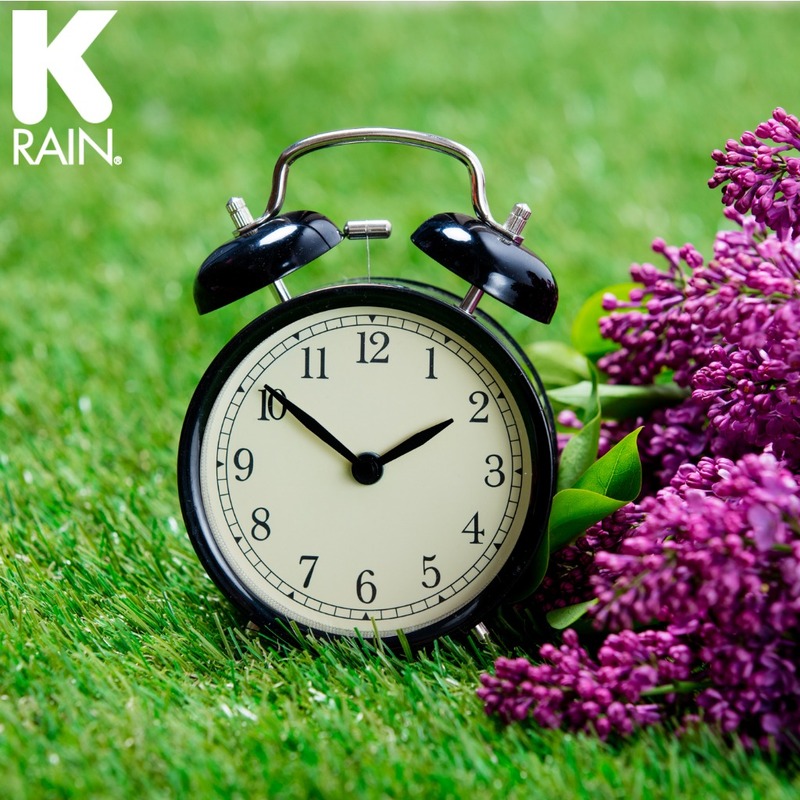 K-Rain is your source for sprinkler system products that don’t require extra space—but save you time and inventory spots on your truck. Our high-tech products allow you to remotely program controllers reducing the need for running extra wire as well as help you market your business to other potential customers. During the height of your lawn irrigation installations, you want to be more time-efficient and only carry those SKUs in your van that you’ll need. At K-Rain, we provide sprinkler system products that reduce your SKUs inventory as well as cut back on your time installing and maintaining them. 1. Bluetooth Controllers:K-Rain’s Bluetooth controllers not only save your customers time and aggravation, but they reduce your installation time too. It’s easy to hook up a Bluetooth controller to the cloud as well as to program it. Instead of many remotes to store and program for your customer, you only have to use your mobile device to get everything up and running. 2. K-Rain’s Rotary Nozzle Series: Our rotary nozzles save space in your truck because you carry fewer SKU’s. The rotary nozzle combination in different sizes makes it easy for you to adjust the arch from 90° to 270°. Our rotary nozzle series will cover 80%-90% of all arc adjustments required. We also feature the full 360° and specialty models in our series. 3. Indexing valves: K-Rain’s indexing valves are easy to install and maintain if you’re a certified irrigation contractor. You can connect these indexing valves to reclaimed water systems (RCW) and other pump applications as well as onsite wastewater disposal. 4. Reclaimed Water (RCW) Sprinkler Products: If you specialize or are licensed to install irrigation RCW parts, you’re in luck with K-Rain. We’re an industry leader for RCW sprinkler system products including our entire line of rotors, sprayers and indexing valves that come with purple collars. 5. Battery-Powered Irrigation Controllers: At K-Rain, we design battery-powered irrigation controllers in case the power is out at one of your sites. You also save time and space by not having to carry long or large wires for runs when installing these irrigation controllers. Instead, you program and control these sprinkler systems with a few taps on your smartphone or tablet. Learn more about K-Rain’s rotary nozzles in this blog post. K-Rain offers two programs to associate your company’s brand with K-Rain products. When your company’s name and logo are added to our sprinkler system products, you’ll make it easy for potential sales prospects to contact you. While these marketing opportunities may not save you time out on the field, they do save you time and money when it comes to marketing your business to potential customers. 1. Custom Irrigation Controller Doors: Get your company’s name, website, phone number and logo on our sprinkler controller doors. Our controllers are rain-sensor ready, so it’s easy to install a rain sensor to this controller as well as reminding your customers of your contracting company. 2. K-Rain’s Customized Rotor Program: Leave your company’s brand on our rotors. When customers see your logo on our products, they’ll know that you’re a top-tier contractor. Your logo shows customers and sales prospects that you’re not the same as other installers, but that you chose to join our K-Rain Premier Partner Program. You can have your company’s logo on our two top-selling rotors—the RPS 75 and the SuperPro Advanced Features Rotor. Learn more about K-Rain’s Sprinkler System products and how to use them by watching our YouTube channel. If you’re a certified irrigation contractor (CIC) through the Irrigation Association, then you need to join our Premier Contractor Program. Distributer credit toward your irrigation product purchases. If you’re ready to join our program, go to our K-Rain Premier Partner Program to fill out the registration, and a K-Rain representative will be in touch with you.